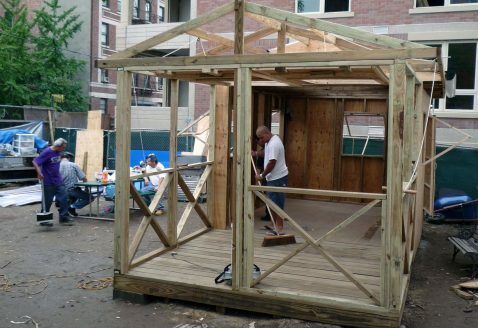 Participatory planned, self-built structures in shared urban gardens in New York City’s low income neighborhoods are an expression of the residents’ endurance as well as their cultural or sub-cultural background and link to the informal self-built housing in other parts of the world. Image: Gardenhaus, mees architecture, South Bronx, New York City. Monday September 11, 10:30-11:30. Open Space.